In the right hands, the Force Field can be a very dangerous tool used to rip apart and isolate opposing armies. It doesn’t really get that much use in a PvP scenarios as Guardian Shield is much more useful (plus, you usually don’t have an abundance of Sentries in PvP anyway). Unlike your standard Force Felds, these Thai-inspired Force Fields will always be a welcomed treat in your base. Prep time will be about 10 minutes. Cook time is roughly 20 minutes. This makes 3 servings. Bring 1 cup of water to a boil. Once your water has begun to boil, cook brown rice as normal. This should take about 10 minutes. Add your 1/2 of your lime juice, salt, 1 1/2 tablespoons of honey, and your coconut milk to the rice. Stir the rice and combine. Sprinkle in your lime zest and stir. 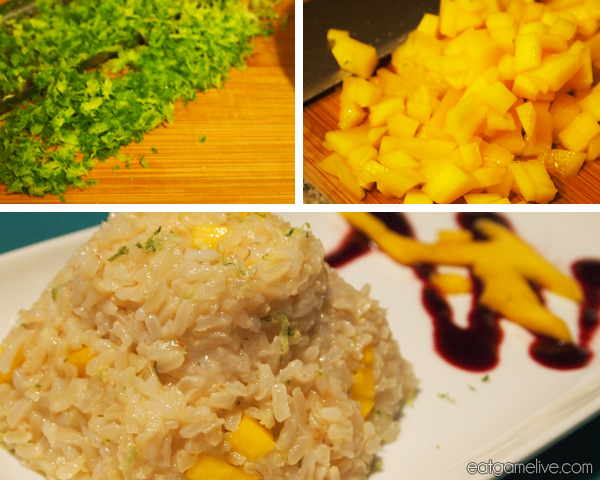 Add in your chopped mango. 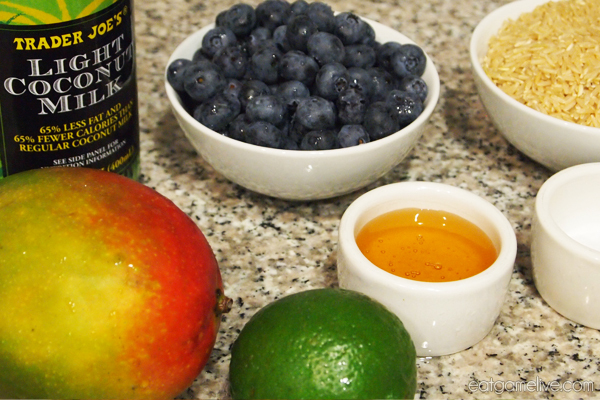 Place blueberries, lime juice, and 1/2 tablespoon honey in a pan on low heat. Cook for about 5 minutes. Remove blueberries from heat and pour into a food processor. Process until smooth. Scoop rice into a small bowl. Place a plate, upside down, on top of the bowl of rice. Hold the plate tightly against the bowl and flip the bowl over to create a small rice dome. 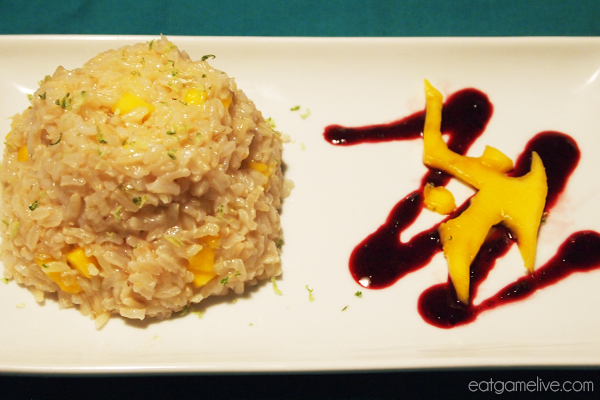 Serve rice with blueberry sauce. Since this is a Protoss recipe, I felt that it had to bear the Protoss insignia. To make a mango Protoss symbol, simply take a thin slice of mango and use kitchen shears to cut out a Protoss symbol. Alternatively, you can try using a parring knife . To make the hexagonal shape, just use a butter knife to form the six sides of the force field. Now you’re ready to enjoy a delicious force field. Hooray! GG WP!